Despite a problem that held up last night’s International Space Station docking, the Expedition 39/40 crew is doing well as they execute a standard backup procedure to bring their Soyuz spacecraft to the station on Thursday, NASA said. The crew was originally expected to dock with the station around 11 p.m. EDT (3 a.m. UTC), but an error with the spacecraft’s position in space prevented the engines from doing a third planned “burn” or firing to make that possible, NASA said in an update. In fact, the spacecraft has done a couple of burns since to get it into the right spot for a docking Thursday evening, Todd added. (So it appears the crew just missed the window to get there on Tuesday night.) The underlying cause of the orientation problem was not mentioned in the interview, presumably because it’s still being investigated. NASA is quite familiar with a two-day route to the space station as up until last year, all crews took two days to get to the space station. This took place for 14 years until a rapider method of reaching the orbiting complex within hours was introduced. The crew includes Steve Swanson (NASA), Alexander Skvortsov (Roscosmos) and Oleg Artemyev (Roscosmos), who will join three people already on station when they arrive. 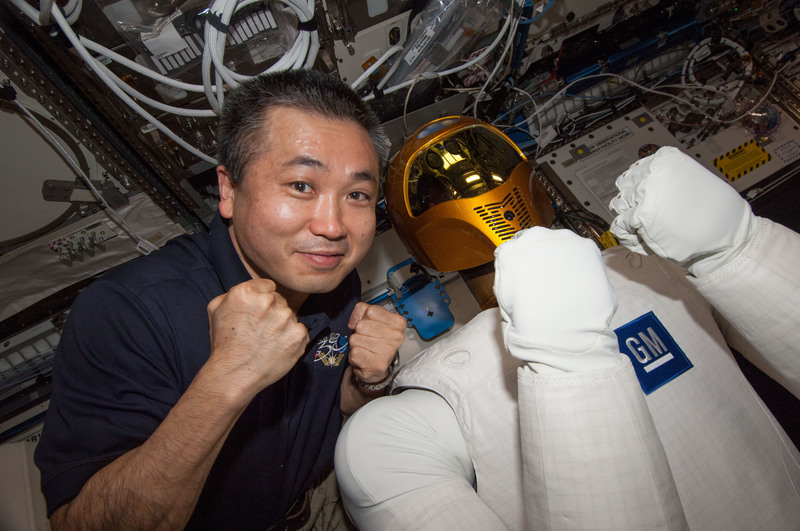 Current station residents Koichi Wakata (the commander, of the Japan Aerospace Exploration Agency), Rick Mastracchio (NASA) and Mikhail Tyurin (Roscosmos) got to sleep in this morning and had some minor modifications to their schedule because of the docking delay, Todd added. Instead of taking the day off as planned, the crew will do some work. A planned ISS software update for last night is going to be pushed “down the line”, Todd said, adding that the forthcoming SpaceX launch on Sunday and docking on Tuesday is still going ahead as planned. We’ll provide more updates as the situation progresses. Docking is scheduled for 7:58 p.m. EDT (11:58 p.m. UTC) Thursday and will be covered on NASA Television.